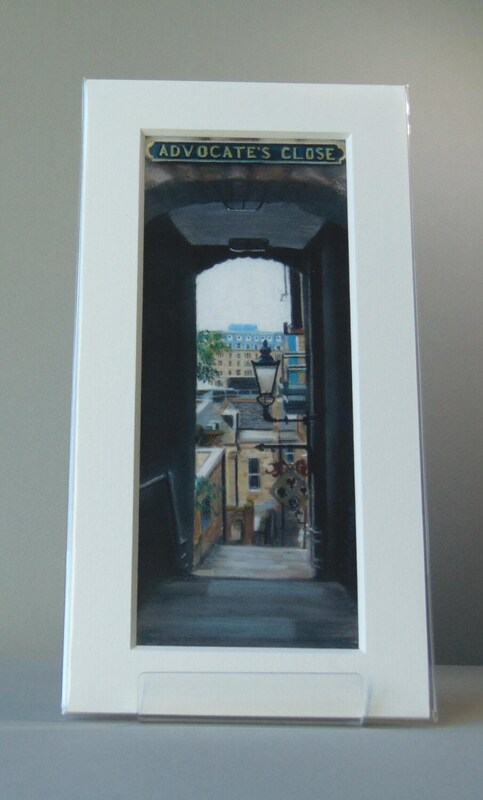 Advocate's Close, Edinburgh giclee print by Carolanne Jardine. Quality print depicting Advocate's Close in Edinburgh's old town. An atmospheric print depicting Advocate's Close - a narrow street which leads from The Royal Mile to Cockburn Street in Edinburgh's historic Old Town. This item is supplied with a cellophane wrapping so it is ready for framing or to give as a gift.